In our latest round of Coastal Community Fund project catch ups we spoke with Roborough Village Hall who received £7,022 towards new audio-visual equipment. Roborough Village Hall is an important hub for this rural villages community who have no public transport and whose nearest major town is over 15 miles away. Several projects have already been completed at the village hall including replacement tables and chairs and a new kitchen, all of which have helped make the hall more functional for the community. The latest addition of audio-visual equipment was supported by the Coastal Community Fund. The audio-visual equipment was identified as a need to enable the community to come together for race nights, film nights and more without the need to travel to other neighbouring villages and towns. 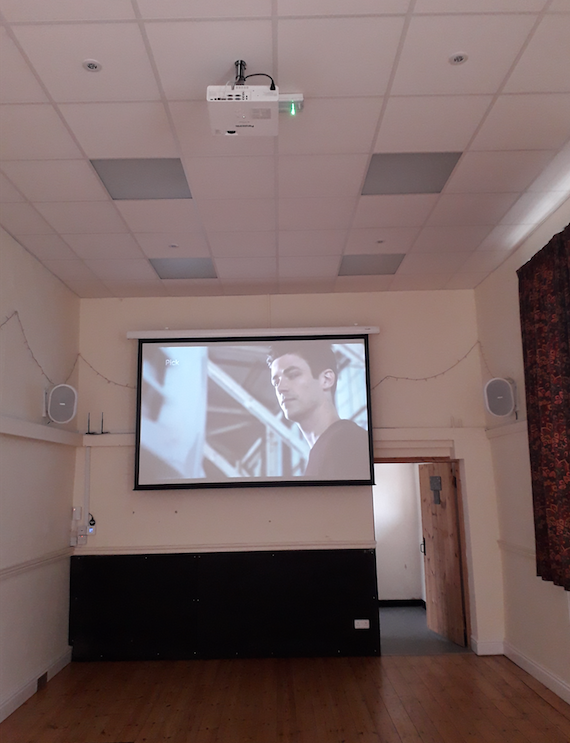 Following the install of the audio-visual equipment a coffee morning was held where they were able to show a DVD of the Queens Jubilee celebrations that took place in the village, it provided a real talking point and showed just how the equipment can be used. The next step is to organise the first of many film nights for the community, a festive film to kick things off. This latest addition provides further appeal for those booking the hall for private use as it can also be used for music and presentations, providing more booking opportunities for the hall. “It’s about pulling the community together and helping us to continue to fund the up keep of the village hall. The latest addition, along with those previously completed allows us to hold more community events whilst also increasing appeal to those looking for private hire.